Vagaries' hopes of North Gujarat/Kutch rains (mentioned in blog on 11th and 13th, as the surprise factor.) was also realised with Naliya, Abdasa (Kutch) receiving 2 cms each and Lakhpat, Bachau, and Sami – 1 each. In N.Saurashtra, Dwarka measured 3 mm, Deesa 1 mm and traces in Okha. Otherwise, the rest of the country distribution is shown in this IMD map. Snow continued in H.P. on Tuesday, with Manali and Dalhousie getting the white mantle today.Una town recorded the maximum rainfall of 50.6 mm in the state, while it was 29 mm in Palampur and 16.8 mm in Dharamsala. Dharamsala was at a high of 8.5c today. 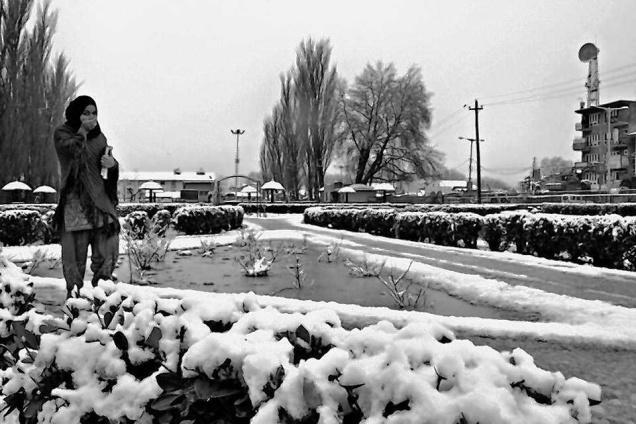 In Kashmir, there was a let up in the snowfall today.The night temperature in Kargil on Tuesday was -8.4c, making it the second coldest place in the state, after Shyok which froze at -23c. Leh recorded a low of -3.8c. However, Pahalgam, which serves as the base camp for the annual Amarnath yatra, was much colder than Leh with the night temperature recorded at-5.4c. F2 has now moved into Nepal. Several places have received rain/snow, with Dipayal getting 39 mms, and Kathmandu's guage measured 3.2 mms of rain. (Neeraj, so we were right about the pre WD heat !Vagaries assured you on the 10th.) And the day was cooler at 21.7c in the capital. On the international front, its now Japan's turn for severe snow ! he Japan Meteorological Agency warned Monday of heavy snowfall in Tokyo and surrounding areas overnight as wintry weather is hitting the region, disrupting traffic. Part of the Tokyo metropolitan expressway was closed shortly after 9 p.m. Monday due to snow accumulation. A wintry atmospheric pressure pattern has been seen south of the main Japanese island of Honshu, and was moving northeast on Monday. And Jim (Accuweather Expert) states: "The cold, the harshest and longest-lasting for the winter thus far, will substantially increase the demand for heating energy. As of Monday, severe cold had spread across northern Russia, Finland and northern Scandinavia for four or five days. Temperatures have already dipped to -22c in St. Petersburg and Helsinki, Finland. Cold this severe also reached into Belarus, Lithuania, Latvia and Estonia as of Monday. In the Russian Arctic, Pechora dipped to -42c on Monday. Farther south, the cold thus far has been less severe compared to normal, yet still significant. Moscow, for instance, has had lows between -16c and -13c". 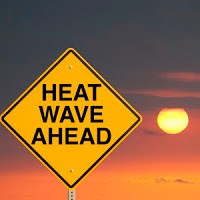 Latest on La-Nina: Tokyo-based Research Institute for Global Change (RIGC),have estimated that the currently strong La Nina phenomenon in the equatorial and east Pacific could weaken quickly over the next few months but would rebound in late 2011, later this year.That calculates to a neutral condition during the SW Monsoon period . But estimates on La-Nina are difficult to make, and only recently we read about this event pulling well into 2011. So,Vagaries is cautious, and not jumping to conclusions yet. Yes Rajesh, You were right. It has been raining since yesterday evening (the day yesterday was cloudy with intermitten light rain). Its raining now as well. the rain gauze will surely measure much more than 3.2 by this evening. Now at 11:45 local time, the temperature is just 9 degrees celcius. Lets see how the rest of the day pans out..